One of the first focuses for most people looking for a home is square feet. How many square feet are there? How does it compare to the rest of the neighborhood and area? Does size really matter? Size, of course, does have an impact. More square footage provides the opportunity to have more flexibility with design, room arrangements and features, but experience tells me it is not the most important factor for homebuyers. Square footage is a fallback and easy measure for real estate because it is one of the few easily defined, measurable and comparable characteristics in describing a home. Features like views, finishes, layout and general feeling are harder to assign an absolute value, so we tend to look to square footage first. Ergonomics is the process of designing or arranging workplaces, products and systems so that they fit the people who use them. People look to find comfort and enjoyment in their lives and their environment, work or home, and that can have both a positive and negative impact on their wellbeing. For most of us, our home is the place we will spend the majority of our time, so having spaces that fit us and make us more comfortable is extremely important. Applying ergonomic practices to home design can and does have a positive impact on our lives. Across the country you will find many new construction homes built in the “modern” style, which is an update from the mid-century modern designs of the 20th century. In many of the western U.S. cities, such as Los Angeles, San Francisco, Las Vegas and Denver, this style of home is in great demand. It is not only found in luxury real estate. Denver real estate has seen a large increase in the demand and construction of modern luxury homes, but also modern row homes and smaller homes that fit onto older, more limited lot sizes. Many older Denver neighborhoods have experienced high demand for beautiful homes with modern spaces that are not large, but offer a luxurious feel in design. Many architects are students and fans of the mid-century designs that emphasize simplicity, open spaces, clean sharp lines and integration with the world around you. You will find a large emphasis on building homes that take advantage of the lot for views, integration with outdoor spaces, and multiple use rooms. Large glass windows for natural light and flat roof lines are also common features of the style, and when incorporated with a good design, can make the home feel great inside and look stunning on the outside. For many modern architects, each design is a challenge to incorporate clean lines, usable spaces and natural flow of the home to make the experience of living there enjoyable. “Modern design is meant to be functional first—to integrate function as a part of our lives and space, to simplify and declutter our physical environment—and to accomplish this in an aesthetically pleasing form. Great modern design makes our living spaces easier to use and occupy while simultaneously stimulating our senses positively,” says Jesse Walden, architect and builder with Lucid Studio in Denver. After many years helping people find homes that fit their personalities and lifestyles, I have noticed that it is almost always the use of the space that has a greater impact than the sheer volume of square footage. This comes in two forms: use of square footage in layout and flow, and, of course, interior design. Having a great floor plan, visually pleasing design and good flow to a home will make it a desirable and more valuable home now and in the future. Beautifully remodeled one story in desirable Energy Corridor neighborhood. Huge family and dining area lead to private covered patio. Stunning Chefs kitchen with new stainless steel appliances and marble tops. All bathrooms remodeled. Plus Bonus room! New exterior/interior paint hardiboard, Low-E windows, new tile, carpet and custom cabinets throughout. 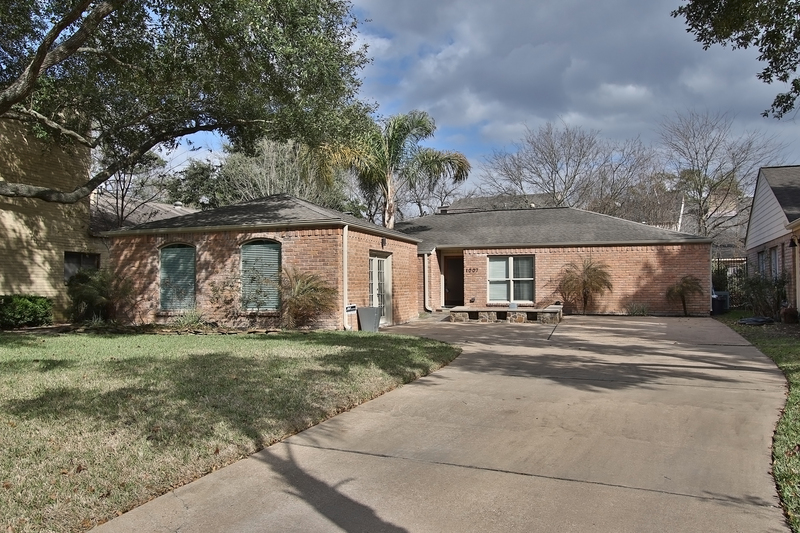 Steps from pool/playground/tennis courts and Terry Hershey park trails. Excellent schools Barbara Bush, John Paul and Village are all near. Please see full list of upgrades online. There’s a shift happening, however, for the dominant of the two. Harris County had hung on to No. 1 for most new residents for eight straight years before being unseated last year by Maricopa County, which added 81,360 new residents, or 222 per day. Harris County, on the other hand, added 56,587 new residents, or 155 per day. Texas, relatedly, lost its title in Allied Van Lines’ annual Magnet States report for 2016, knocked down by both Arizona and Florida. Does this mean the doors are closing in the Lone Star State? SmartAsset recently dubbed Midland, Texas, the No. 1 “Rising Housing Market,” as well as named Austin, Frisco, McAllen and Odessa in its top 10, while WalletHub ranked Austin one of the best state capitals to call home in 2017. Houston was included in both realtor.com®’s recently revealed “Top Cities for Millennials” and Zillow’s top buyer’s markets. Everything’s bigger in Texas—but how long it keeps getting bigger, if current trends continue, remains to be seen. Population estimates in metropolitan areas tell another story. Four of the top 10 fastest-growing metropolitan areas are in Florida, with The Villages multiplying the most at a rate of 4.3 percent in 2016, followed by Cape Coral-Fort Meyers at 3.1 percent, Punta Gorda at 3 percent and North Port-Sarasota-Bradenton at 2.7 percent. Only one Texas metropolitan area made an appearance in the top 10: Austin-Round Rock, at 2.9 percent. What states aren’t registering population growth? Zooming back in to the county level, of the top 10 counties that added the least residents in 2016, New York state has the most, with two: Jefferson County and Suffolk County. Jefferson County, which is part of the Watertown-Fort Drum metropolitan area, subtracted 3,254 residents from its ranks, -2.78 percent, while Suffolk County, which is part of the New York metropolitan area, subtracted 5,320, or -0.36 percent. Still, neither New York counties saw a loss like those in Cook County, Ill., which subtracted 21,324 residents, and Wayne County, Mich., which subtracted 7,696—No. 1 and No. 2 in the Census’ top 10. View more from the Census Population and Housing Unit Estimates here. The average 30-year, fixed mortgage rate ramped back up above 4 percent this week after wandering below 4 percent last week, according to Freddie Mac’s recently released Primary Mortgage Market Survey® (PMMS®). The 30-year, fixed mortgage rate averaged 4.03 percent. Per the survey, the 15-year, fixed mortgage rate averaged 3.27 percent, while the 5-year Treasury-indexed hybrid adjustable mortgage rate averaged 3.12 percent. Last week’s dip below 4 percent was the first time the 30-year, fixed mortgage rate averaged lower than 4 percent since the election in November, when it broke through the mark. “Despite recent swings in mortgage rates, the housing market continues to show signs of strength—both existing- and new-home sales in March exceeded expectations, and the Case-Shiller Home Price Index posted another solid gain,” Becketti says.